Annette and Emily turn off valve. On October 11, 2016, five brave climate activists closed valves on the 5 pipelines carrying tar sands crude oil into the United States from Canada. 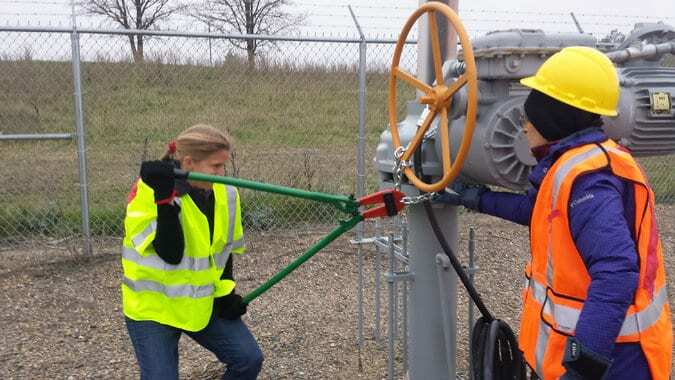 This direct action shut down 15% of US crude oil imports for nearly a day – a display of the sorts of shifts that are necessary to avoid complete climate collapse. The five valve-turners filmed their actions and are standing by them, saying that they are not only necessary, but morally and legally justified to avoid the catastrophic harm caused to humanity by unprecedented climactic disruption. In order to ensure that the pipelines would be safely shut down, a call was placed to each company’s emergency response and control number fifteen minutes before valve turners entered the sites, alerting them of the situation and giving them ample time to shut each pipeline down. Leonard being arrested in Montana winter. Inspired by their tactics and bravery, CLDC stepped in to provide free legal representation for the Valve Turners, and became lead legal counsel in the cases of Ken Ward (WA), Leonard Higgins (MT), Emily Johnston and Annette Klapstein (MN). Micheal Foster (ND) is represented by other parties. All the Valve Turners were charged with felonies ranging from Sabotage to Burglary to Criminal Mischief, and the trials have been playing out from the west coast, eastward. All of the Valve Turners have attempted to make the case of the necessity defense for their actions. Traditionally, the necessity defense is used when the crime committed was necessary to prevent a greater harm. To apply this to climate actions is to change the way that mainstream society is currently viewing climate change. Our society is in danger and the legal channels are not creating change, so illegal action must be taken to prevent that harm. The necessity defense was denied in Washington, Montana and North Dakota. But it was granted in Minnesota, and so the final trial will be the most thrilling yet! For more than 15 years we have been defending front-line activists across the country! The demand for free legal support and representation will continue to grow. Donate today to have our back so we can continue to have your’s! Minnesota: We Are Trial Bound! No jail time for Leonard Higgins! Lauren, Ralph and Ken outside the courthouse after Ken's case. Lauren Regan at trial in Washington defending Ken Ward. 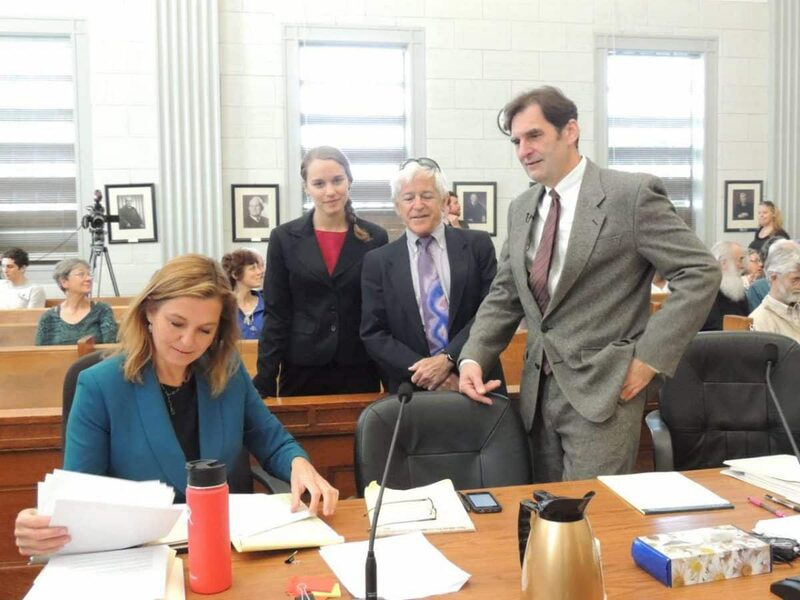 Lauren and the legal team after Leonard Higgins' trial.